The Bloom-A-Thon® series is twice as nice as (and more shade tolerant than) other azaleas! Why settle for just a week or two of flowers when you can enjoy up to five months of blooms? Classic crisp white flowers cover this attractive, mounded plant in spring. After bloom, the plant takes a brief rest, then comes roaring back with more red flowers through frost. Even high summer temperatures don't stop this beauty from producing loads of late summer and fall flowers. The evergreen foliage is disease resistant, and maintains excellent color year-round. Soil Moist, acidic soils with high amounts of organic matter. 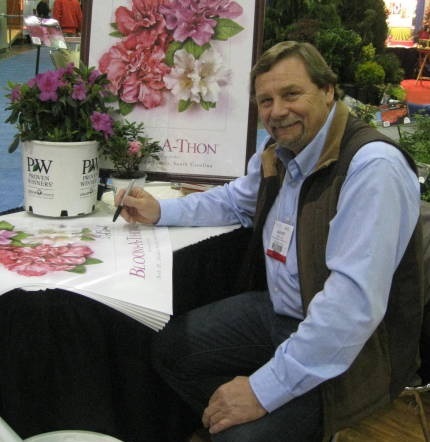 Pruning Prune or trim after spring bloom to encourage new growth and more abundant rebloom. Uses Mass plantings; edging; low hedge; foundation planting; specimen. Growing Tips At its best when sited in filtered sun all day. Hardy to USDA zone 6b with protection; has survived winters in zone 6a but with significant damage. Benefits from mulch.